NOBU is coming to Vail! It will be located on the upper level of the new Solaris building in Vail Village and will over look the park in the summer and the ice skating rink in the winter. The restaurant will be called Matsuhisa and should be open sometime this summer. 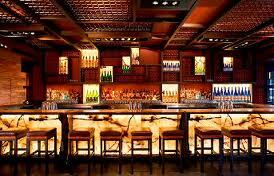 I have dined at the Aspen restaurant and also at Nobu in the Shore Club in South Beach. This is the BEST sushi around!